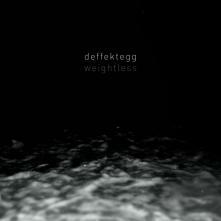 Deffektegg is a cold hand reaching through the black and morphing surface of the sea, which is exactly where Weightless emerged from. Mostly built on deep and thick drones, but sometimes crushed by distortion and swallowed in the abrasive and distant voices of drowned souls, Weightless is hypnotizing like the songs of hundred sirens, but carries endless grief for all lives, forever lost in the black waters. All music and photography brought by the mighty waves of the Bulgarian Black Sea and captured by Yavor Grancharov from 2008 to 2014. Released: September 1st, 2014. Bulgaria.